That was the late George H.W. Bush as he accepted the Republican nomination for president in 1988. Bush, of course, would go on to serve in the Oval Office from 1989–1993. His call for civility rang true then and rings true today, perhaps even more so. It applies in politics, society in general, and in community associations. Many association board members, managers, and business partners report dealing with disruptions at meetings, profane and threatening emails, and other behavior that most people would consider uncivil. In fact, some communities are moving to adopt codes that demand courteousness and respect, ban foul language, and prohibit threats of physical and psychological harm. Read about these steps and a discussion about civility today in “A Civil Action,” the cover story in the January/February Common Ground TM magazine. 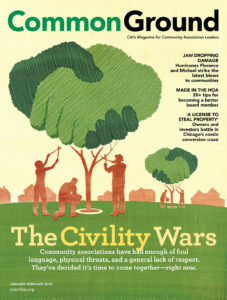 For the article, we checked in with some experts on the subject, including Daniel Buccino, the current director of the Johns Hopkins Civility Project at Johns Hopkins University in Baltimore, Md. Is strife becoming more common in American society? Public opinion polls show that most people believe that it is, yet Buccino notes that people have been concerned about civility for a long time, and many think it’s somebody else’s problem. The university’s project was founded in 1997 by Pier Massimo Forni as an aggregation of academic and community outreach activities aimed at “assessing the significance of civility, manners and politeness in contemporary society.” Forni’s efforts inspired civility-based initiatives on college campuses and in communities around the country. Sadly, like Bush, Forni also passed away at the end of 2018. As a new year begins, maybe we can learn to follow their advice. Maybe we can accept that incivility today is our problem. Maybe we all can be a little kinder, gentler, civil, and agreeable. Well the civility in an hoa or condo also must start with civility by management and board members. In my community I now live in, the first day I moved here I was addressed by a board member who poked me in the chest and told me I could not back my truck in my parking spot while unloading. When I ask who he was, his response was ‘I’M ON THE BOARD!” I responded with I did not ask you what you are I asked you who you are. At the first board meeting I attended, no one would ask questions, when I attempted I was told I had to wait til the end of the meeting to ask questions, when I di I was told I wasn’t an owner and was told I didn’t have a right to ask questions. It has only gotten worse from there. I have lived in HOA’s or condos for over 40 years, some good some bad, some good board members but a lot of them are on power trips. Royalty they want to be bowed to. I would ask all people living in a community to know where and what they moved into. Get to know the rules. You will see some don’t follow them but know enforcement and awareness is important. I always try to inform homeowners and I do tell them I’m on the board otherwise nobody should be telling a homeowner anything. 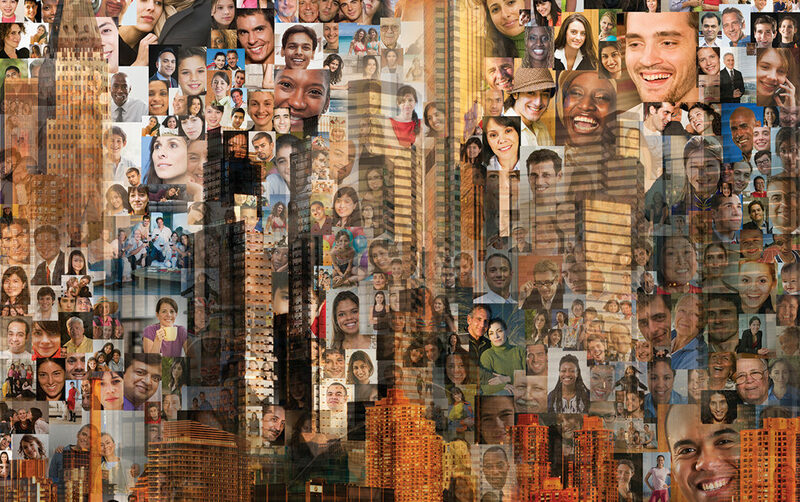 You are living in close proximity to others you should be a good neighbor and that will be returned to you. If your a stinker and that’s how you like it get over yourself. It’s hard for me to find anyone who wants to be a board member who wants to listen to a non rule follower get special treatment about their issue. I want my community to be a great one that treats all people neighborly. Remember ignorance is curable, get more information before you complain.